The Sublimity of Trang T. Lê | Jill Thayer, Ph.D.
June 17, 2013 · by Jill Thayer, Ph.D.
A catalogue essay to accompany the exhibition, Trang T. Lê: Quiet Thoughts (October 4 – November 11, 2013) at Artspace Vincennes, Indiana. Trang T. Lê, “Your Morning, Day 5,” 2011, oil on canvas, 55 x 60 inches. A calm presence is felt upon viewing the paintings of Trang T. Lê. Her ethereal compositions impart the quiet essence of nature in a visual language of contemplation. For Lê, this meditative state reveals a healing source of life. For viewers, it’s a pause for reflection. 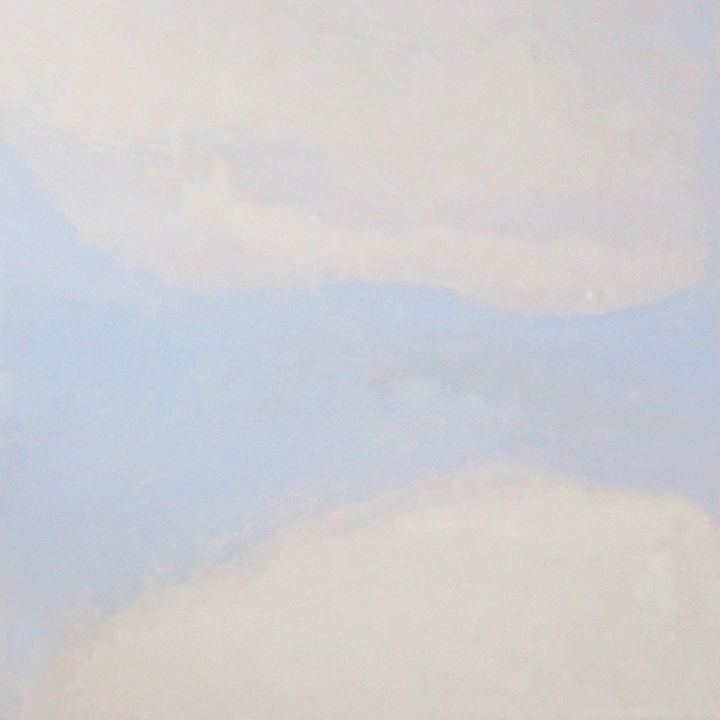 Her methodology suggests nuances of Post-Impressionist, Expressionist, and Minimalist genres calling to mind the metaphysical auras of Rothko and aesthetic subtleties of Agnes Martin. Yet, Lê’s approach is uniquely her own. Trang T. Lê, “My Morning, Day 5,” 2011, oil on canvas, 25 x 45 inches. Trang T. Lê, “Paris Memory,” 2013, oil on canvas, 40 x 30 inches. 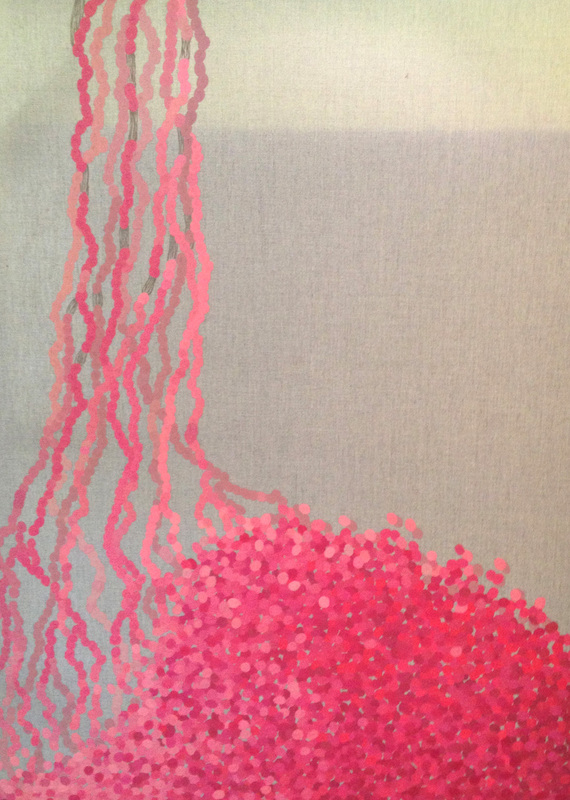 Trang T. Lê, “Chrysanthemums,” 2013, oil on canvas, 30 x 60 inches. Memory of Nature (2011) explores the confluence of earth, water, and sky in a saturation of color and light that draws the viewer in. Contrasting palettes and analogous motifs bring engagement to each study: Interwoven threads in crisp, colorful geranium hues tumble to the ground in a heap of confetti; Waves ebb and flow in a sea of azure blues; Windblown chrysanthemums sway under the flaxen sky. 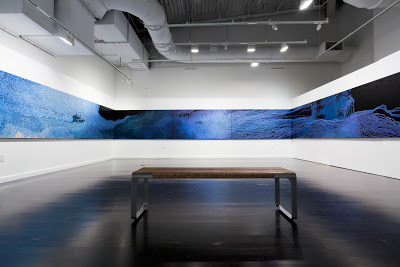 A single panel from Lê’s eloquent 111,978 represents the epic 4 x 56 ft. installation from an exhibition at the Vincent Price Art Museum in Los Angeles. The work pays homage to the number of soldiers and civilians who died during the Iraq War, which Lê discovered after a three-year research. Between 2006-2010, the artist documented 4,743 faces and names of U.S. and Allied soldiers in three journals. A photo accompanies the piece to give viewers a sense of scale in the enormity of the seven panel series. Oceanic currents and galaxies of stars constellate to honor those lying in repose under the midnight sky. “111,978,” is a series of (7) 4 x 8 ft. panels that total 4 x 56 feet. The painting honors the soldiers and civilians who died in the Iraq War. Installation view, Vincent Price Art Museum, 2011. “Each circle represents one life that was lost. 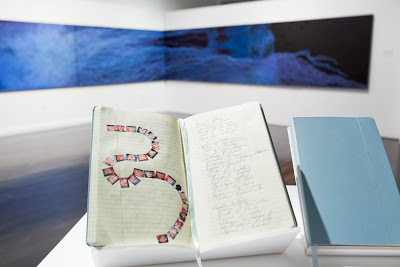 Trang T. Lê’s journals capture 4,743 pictures and names of U.S. and Allied soldiers who died in the Iraqi War. Lê’s inspiration is a catalyst of transformation as she shares her motivation, “How I love the morning. After a good sleep, things are light and our minds are fresh. Just looking out of the window. Simplicity. A simple moment can help us through the day. This is how the body of work evolved.” It is this interpretive expression that captures the fragility of humanity in the meditative paintings of Trang T. Lê. Quiet Thoughts brings these transforming constructs to life through the healing power of nature and sublime promise of peace. 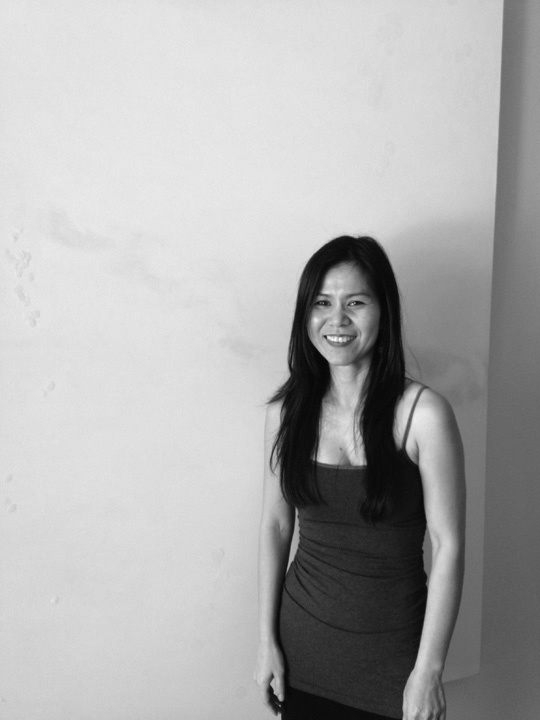 Trang T. Lê earned a Bachelor of Arts and Bachelor of Science from University of Riverside California in art and anthropology; and a Master of Fine Arts at Claremont Graduate University. 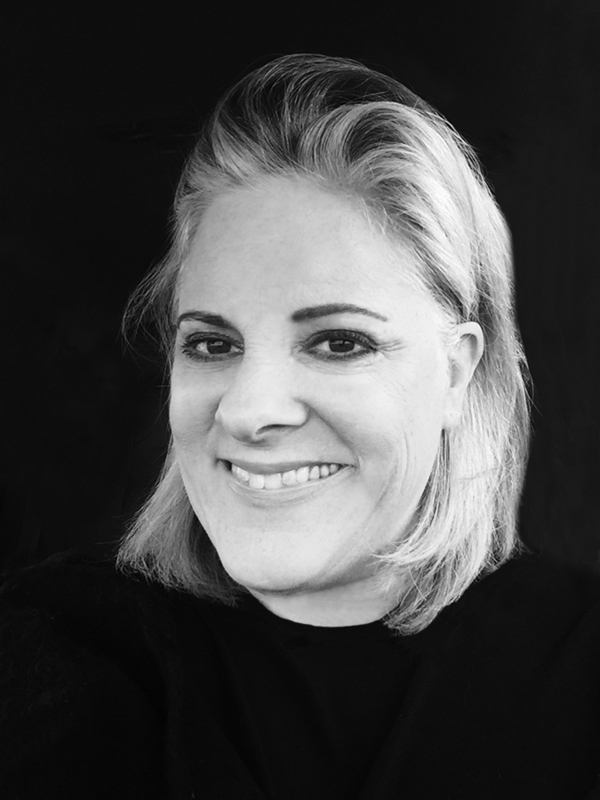 Lê exhibits her work throughout Southern California and Asia. Her paintings are included in corporate and private collections. For more on the work of Trang T. Le, visit: www.trangle.net or view: “111,978 – Acknowledging the Armed Forces and civilians of the Iraq War,” on YouTube. This entry was posted in Art History, Artist Emergence, Artist Profiles, Visual Culture and tagged Art Review, Artist Emergence, Artist Profiles, Artspace Vincennes, Contemporary Art, Culture, Jill Thayer Ph.D., Trang T. Lê. Bookmark the permalink.